If Obama Is Elected President - Will He Be Assassinated? 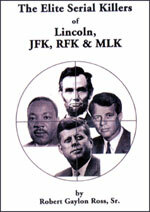 Title: If Obama Is Elected President -- Will He Be Assassinated? Subtitle: Scuttlebutt is streaking throughout the Internet that Obama will be assassinated soon after he ascends to the Oval Office. Remembering that the Illuminati loves to telegraph their punches ahead of time, we conclude that this scenario might actually occur! "A new poll says that most Americans say they're ready to elect a black president. 'The majority of all voters surveyed -- 76 percent -- said America is ready for a black president -- with 78 percent of whites agreeing, and 69 percent of blacks agreeing', according to the study ..."
This poll is startling, and it explains the success of the very charismatic Senator Barack Obama. Americans have finally achieved a great degree of color-blindedness, a goal long sought by Martin Luther King. In fact, I believe that King so advocated a color blind society that he ran afoul of the Illuminati. His eternal flame is a strong indication that the Illuminati murdered him (Read NEWS1547, "World Trade Center To Be Memorialized With An Eternal Flame! 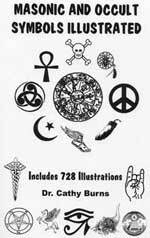 The Most Prominent of Illuminist Assassinations Carry A 'Brotherhood Signature' of An Eternal Flame!" However, the fact remains that public polls are now indicating that the American voting public is ready to elect a black President. As welcome as that change in attitude is, a most worrisome rumor has begun to sweep through the Internet, that if Obama is elected President of the United States, he is likely to be assassinated! A most powerful warning came from a Nobel Prize winner, Doris Lessing, in Great Britain. "STOCKHOLM (AFP) — If Barack Obama becomes the next US president he will surely be assassinated, British Nobel literature laureate Doris Lessing predicted in a newspaper interview ... Obama, who is vying to become the first black president in US history, 'would certainly not last long, a black man in the position of president. They would murder him', Lessing, 88, told the Dagens Nyheter daily." This Nobel Prize winner is simply verbalizing what many people are feeling these days, as the first black candidate in America's history begins to march down the predetermined path set before him by Zbignew Brzezinski. This very smart Nobel Prizewinner feels that America is not ready for a black President and will assassinate him if he ever wins. Lest you think that these remarks are isolated, please consider these additional news stories. "I think we are finding our newest MSM mantra about how evil Americans in general are and Republicans in particular are. Mark this as an example of that with the fear that Barack Huessein Obama will get assassinated. This time the New York Times is raising the specter on their The Caucus blog in a report by Sarah Wheaton." "Today, in Dover, Francine Torge, a former John Edwards supporter, said this while introducing Mrs. Clinton: “Some people compare one of the other candidates to John F. Kennedy. But he was assassinated. And Lyndon Baines Johnson was the one who actually” passed the civil rights legislation." "The comment, an apparent reference to Senator Barack Obama, is particularly striking given documented fears among blacks that Mr. Obama will be assassinated if elected." "Former Minnesota Governor Jesse Ventura caused shockwaves during a national radio interview today when he warned Barack Obama to be wary of a potential assassination attempt ... "I say this in all seriousness - watch out Barack Obama', he added". "An ugly topic is capturing attention on the Internet: Today the phrase 'assassinate Obama' appeared on a list of the top 100 Google search terms ... A top result is an article by the conservative Washington Times that reports a boost in presidential candidate Barack Obama's security following his win in Iowa, 'amid fears over the safety of the man seeking to become America's first black president'." "Today an article on the same topic appeared in the UK Telegraph." Even blacks are fearful of the possibility. "Barack Obama will be assassinated within months if he wins the US presidential election, world champion boxer Bernard Hopkins fears. Philadelphia-born Hopkins, known in the ring as The Executioner told the Independent on Sunday newspaper in Britain that he did not think the US was ready for an African-American president.
" 'If he gets the nomination they won't let him become president, but if they do, it will be for a short time, maybe less than a month or two', he said." "His life would be in jeopardy." It appears that many people are concerned that Barack Obama would be murdered shortly after being elected President of the United States. Is it possible? Yes, of course, anything is possible. Is it probable? I think that the Illuminati might at least stage an assassination attempt. What would they gain by such an attempt? I can think of one significant reason the Global Elite might want to at least stage an unsuccessful assassination attempt. * Since they love "Order Out of Chaos", they might welcome the public chaos which would naturally follow an assassination attempt. The Plan calls for complete and utter chaos within America, chaos which would allow our rulers to suspend the Constitution, dissolve Congress and the Supreme Court, and enact all the dictatorial laws which have been passed into law after the 9/11 attacks. 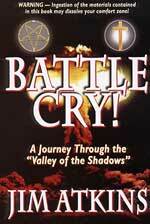 However, such chaos is written in the Plan to occur after additional terrorist attacks in multiple American cities. These terrorist attacks would not occur until the first shot of World War III had been fired. Indeed, terrorist attacks are planned to erupt in key cities of all countries now electing their leaders. Nowhere do I find in Illuminati literature a plan to assassinate a President of the United States. However, we do know that the Illuminati loves to telegraph its punches long before a planned event occurs, especially on TV and/or movies. Why would they do this, as it seems so risky? We posted an article on this some years ago. Let us revisit it now. NEWS2104, "Startling Revelation: Now We Know Why The Illuminati 'Telegraphs Their Punches: FEMA's Three Predictions In Movies and TV Shows, Depicting the Very Disaster Which They Have Planned"
"In order for you to understand the possible gravity of this news story, you have to understand what we mean when we say the Illuminati loves to "telegraph its punches" to the American people. We use this term to refer to the practice of letting the citizens of the world and /or a specific county know exactly what is about to happen to them in this quest for a global New World Order. In many instances, a movie or TV show will air, depicting very closely what is planned and what later does happen. In other instances, official proclamations from key individuals and/or government agencies proclaim what later does really happen." We then list three very important events which did occur after FEMA warned about them. We also list some other disasters which occurred after a TV show or a movie depicted that very event. Why does the Illuminati love to telegraph its plans to the public? Aren't they afraid people are going to catch on -- at least after a while? No, because, you see, the Illuminati is Satanic and Kabbalistic through and through, so they love to tell their victim ahead of time the terrible event they have planned. Going back to NEWS2104, we discover that the answer lies in the Kabbala. 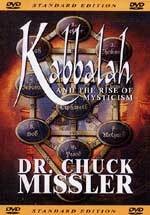 "We have noted time and time again that the Kabbala (Qabbala) is the Judaizing version of the apostate Babylonian Mysteries Religion, created by rogue Jewish priests during the 70-year period of captivity in Babylon. These priests learned the principles of Babylonian Satanism, adapted it to Judaism, and brought it back to Israel as an Oral Tradition. The Pharisees and Sadducees practiced this Jewish brand of Satanism during the time of Jesus' reign, which explains Jesus' unrelenting attacks on them (Listen to "Jesus Christ Was Killed By Secret Societies", 3-Cassette Tape Series for full details). Throughout this series, the emphasis focused on how important anti-terrorism efforts were and how heroically our leaders were in protecting America. The aura of this quality TV show was probably designed to cause many Americans to believe that President Bush, FEMA, and Homeland Security were performing the same type of heroic protection which '24' depicted. As I watched this series unfold, I wondered if the Illuminati was signaling that America was soon to have a black President. That conditioning seemed very obvious to me. However, at the end of Season Five, President Palmer was assassinated by a sniper's bullet, hitting him in the neck, killing him instantly. At this point, my question as to whether '24' was preparing Americans for the election of a black President gave way to the shocking question as to whether '24' was preparing Americans for the assassination of a black President. As we stated above, an assassination of a black President would plunge this country into absolute chaos. 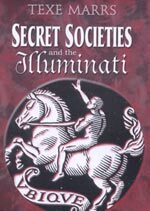 And, it is from chaos that the Illuminati has been able to achieve their greatest changes. Further, such an assassination attempt could ignite a race war! Such a civil war would only deepen and compound the chaos which would occur from an assassination of the President of the United States. If the murder of a black President occurred during the time when the planned city riots are occurring, the shock to our culture and to the stability of our nation could be infinitely compounded -- exactly the kind of fertile soil the Illuminati needs to overthrow one of the most stable governments the world has ever seen!